This post by Renee White, broker associate at Keller Williams Realty East Bay in Walnut Creek, Calif., originally appeared on ActiveRain. Most of us are all too familiar with the television channel HGTV (Home & Garden Television) with its lavish home remodels and spunky hosts. Although it has given the common man both firsthand glimpses into the ins and outs of home maintenance and great tips for buying and selling a home, it has also provided a dramatic exaggeration of real-life residences and homeowners. And when it comes to open houses, the TV entertainment may have on display fine art showings and free-flowing Champagne. Even though everday homeowners and their agents have upped the ante on hospitality, the focus of the most successful open houses is still the same: showcasing the house to the right population of prospective buyers and staging your house to sell. Sometimes, to keep the right focus and successful sale of your house, it’s best to eliminate the things we shouldn’t do. Here are four tips about what smart sellers should avoid during a sale. 1. DON’T attend or pretend. A seller’s place at an open house is elsewhere. It used to be that only “looky-loos” showed up at open houses, but it is becoming increasingly common for serious, qualified buyers to tour open houses with their agents every weekend. In addition, these buyers want to have serious conversations about your home — pro and con. It is easier to have these conversaions without the seller present. Sellers, trust that your agent will successfully consolidate and deliver the most useful insights from buyer and broker feedback provided at the open house. 3. DON’T complicate buyers’ access to the property. There’s a reason it’s called an open house. The objective is to grant buyers relatively free access to see and fall in love with your home. Don’t undermine your own open house by blocking buyers from a room, closet, basement or area of the yard (unless safety absolutely dictates.) Anything you do that requires a buyer to come back and see it at another time just puts one more roadblock between them and buying your home. 4. DON’T neglect the neighbors. 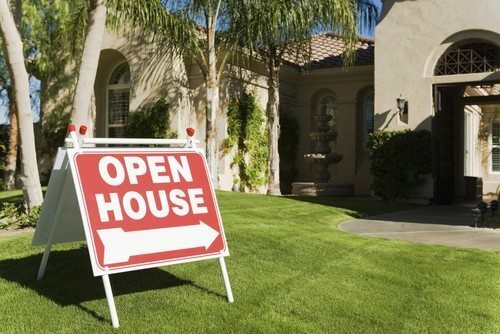 Inviting your neighbors to the open house could possibly get you more buyers. Your neighbors are the people most likely to know other people who want to live in your neighborhood. And on a side note, they would most definitely appreciate the heads up about the excess number of cars parking all over their street!